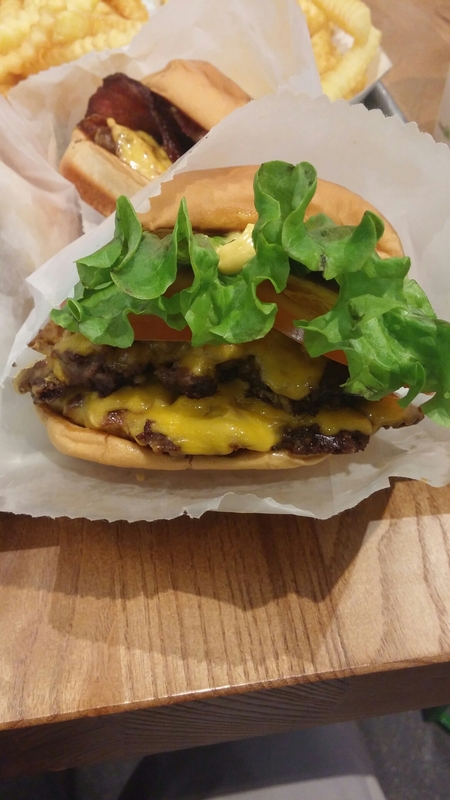 I was one of a few acting as a skeleton crew in work between Christmas and the New Year and to try and alleviate our misery we decided to give the new kid on the block (burger wise), in the form of Shake Shack, a go. The place has opened in Cardiff to pretty much universally positive reviews from bloggers, despite the London branches getting a more mixed reception. 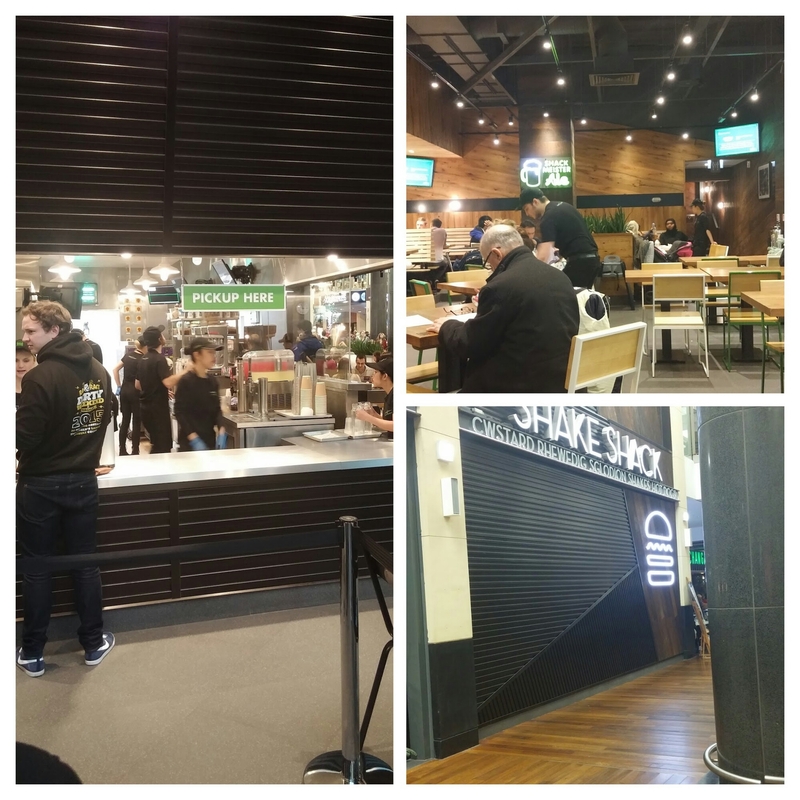 Whilst Shake Shack choosing Cardiff can be regarded as quite a coup for the City (being the first one in the UK outside of London), I went with a little trepidation. I hoped for the best, but feared disappointment based on how mediocre I found that other recent – ish US burger import to arrive in Cardiff, Five Guys. seemed very similar to Five Guys, if not actually a bit more expensive. To my mind, the food had to be pretty darn good to justify the hefty prices. 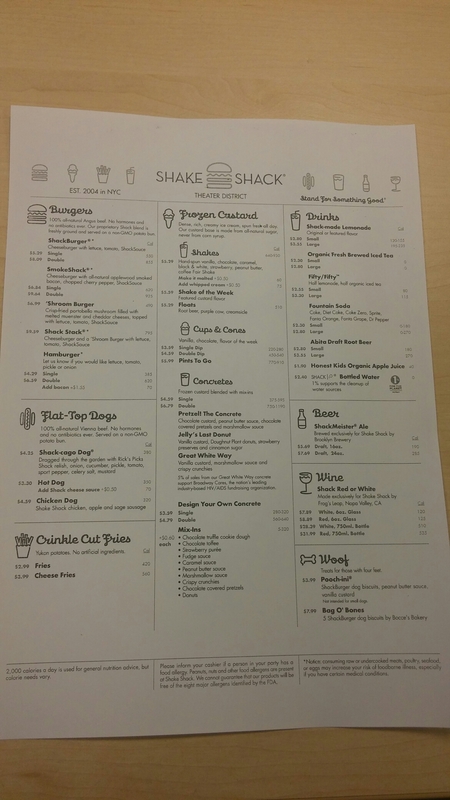 I found it interesting and not a little depressing to compare the prices in Shake Shack’s Cardiff branch to those of their branch in the Theatre district of New York City. Invariably the prices in Cardiff (based on the current Dollar – Sterling exchange rate) were 50%+ more than those in New York (where I am sure the rent etc. is significantly higher than that being paid by Shake Shack in Cardiff). Located in the St David’s 2 shopping centre, it is a cut above your usually fast food joint. I much preferred the décor to that of Five Guys and there is no annoyingly loud music or anyone screaming out order numbers. Altogether a more relaxing environment. 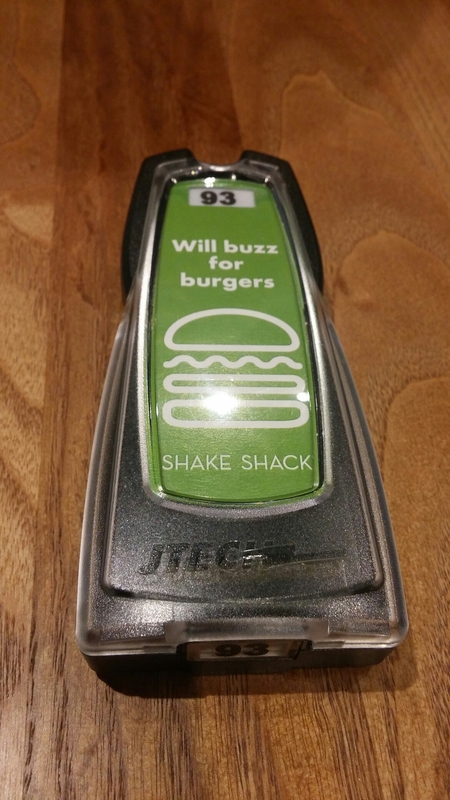 They like their merchandising at Shake Shack. I must say I do wonder who would really want to buy a Shake Shack baby grow for their child (with this and other clothing apparel on prominent displayed)!? Each to their own I suppose. It is bright and shiny on the outside and on the inside everything was spotless. They look like they run a very tight ship. You queue to order and pay (with menus helpfully handed out as you enter the place). Once you have paid (and very painful that will be I can tell you) you get a buzzer which notifies you when your food is ready to collect. We found a table and waited. At the very point we were wondering how long it would take, the buzzer spookily went off and we collected our food. All very efficient and a system that (from my visit) worked very well. I liked it. but found it perplexing that they have located in a shopping centre that prohibits dogs. Why would I buy doggie treats here (as opposed to somewhere much cheaper) if I can’t take my dogs into the large shopping area, let alone the unit, it is located within? Takeaways I suppose, but what do I do with my dogs whilst I go in, order, wait, pick up etc? 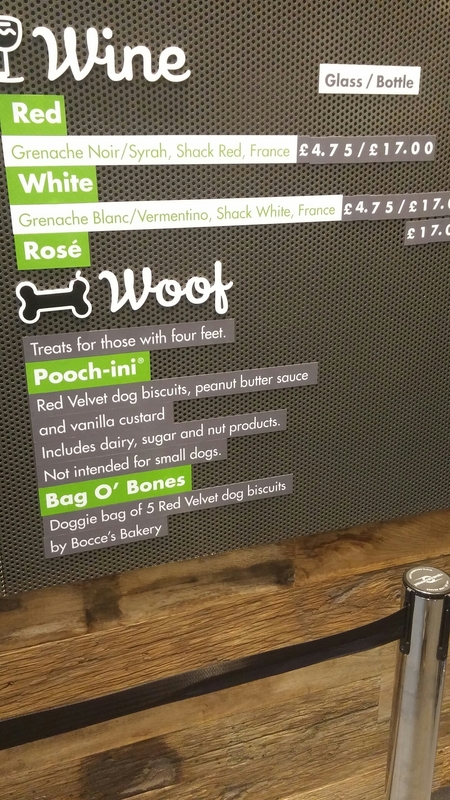 Perhaps the idea is to take the treats home to your doggies, but if so not sure how that would work for the Pooch – ini (an ice cream sort of thing). hotdogs and fries. Sides are a bit lacking and you are out of luck if you fancy something other than fries with your burger or hotdog. They also have various ice creams in the form of frozen custard and, seemingly their signature dessert, concrete. Can’t say I can see much difference between these, but I didn’t try either so can’t really comment. From the menu and their website, they seem to take great store in food provenance, with local or at least UK producers used. I like it when such a multi – national company has a mind to food and drink producers in the locality of their outlets. 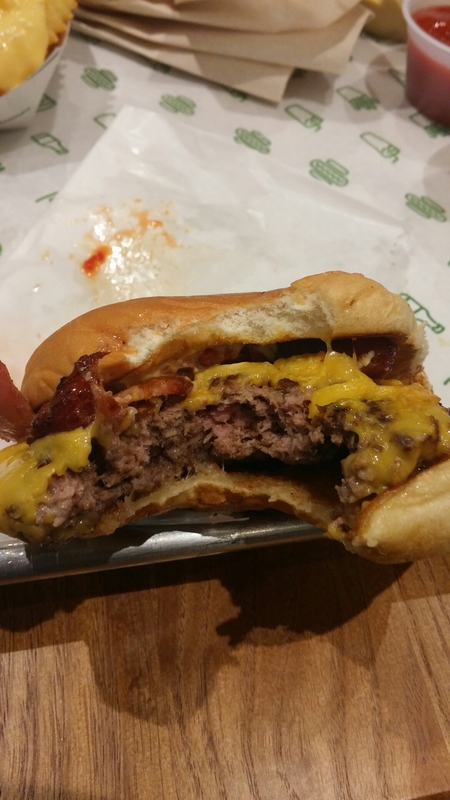 I went for the single patty Smoke Shack burger (£7.50), which came with no garnish (quite like that personally), nicely gooey cheese, very crispy (bit over done in my view) smoked Wiltshire bacon and chopped cherry peppers. 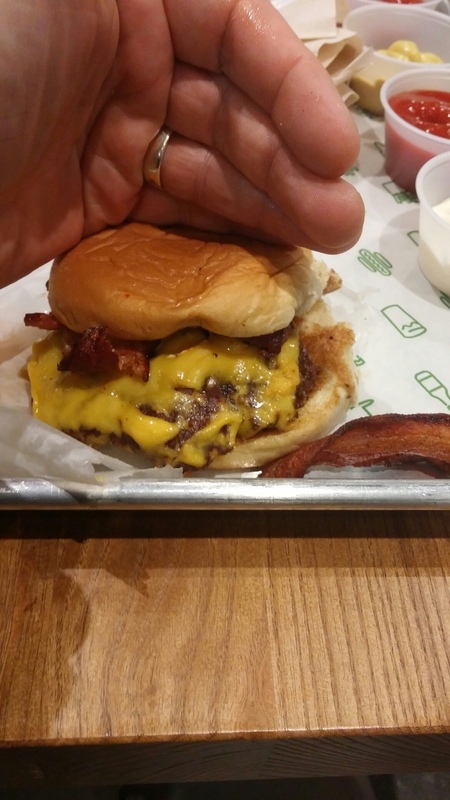 The latter brought a nice piquancy to offset the richness of the Shack Sauce and cheese. As for the patty itself it was cooked medium (I asked on ordering if it was an option to cook it medium rare and was told no – medium or well done were the only options). It had a decent exterior crust, but I would have preferred it pink. Flavour wise, it was OK, but lacked the beefiness of a truly good burger. Nice, but certainly nothing to write home about. The bun (a Martin’s potato roll I believe) was quite pleasant. It had a nice squishiness to it that would have been good with a big patty – sadly its squishiness was wasted here as the whole burger shebang was on the very small side, so no need for bun squishiness to get it in your gob. The big issue for me was the size as against the price. It was what I regard as a very dinky burger. Two bites and it was gone and for the price of £7.50 it simply wasn’t big enough. I felt somewhat short changed when it arrived and when I finished it. I have quite small hands!!!! The other burger ordered was a double patty Shake Burger (£8.75). This was pronounced as OK, but the person who ordered it said it was a bit bland (suffered from the lack of cherry pepper and bacon the Smoke Shack had in my opinion). It was again very small. I think it is fair to say a burger is too small when the biggest element by far of it seems to be the lettuce! His view of it can be summed up by “disappointing for the premium price charged”. We all ordered fries with our burgers. 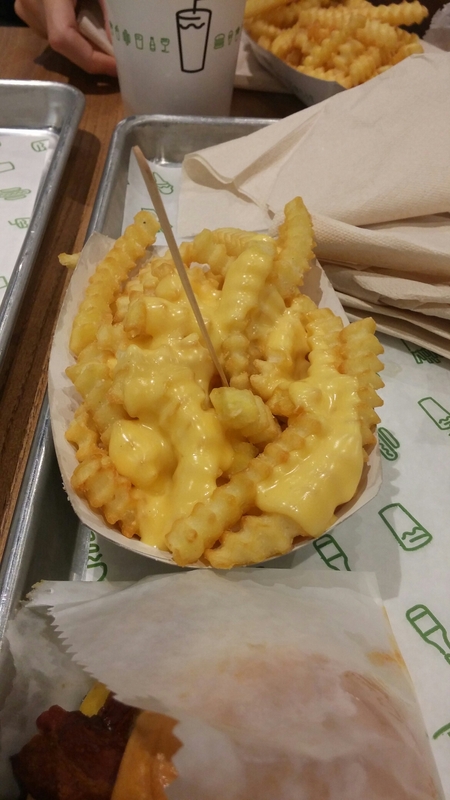 The crinkle cut fries served up at Shake Shack remindered me of 1980s frozen chips, but were actually quite nice with a crisp exterior and fluffy interior. Bit pricey though, for what was not a massive portion, at £3 (for naked fries ) and £4 (with the addition of cheese sauce). On the drinks front they have the usual sodas, plus shakes (we had a sample of the latter, brought around to all by a staff member, which was quite thick and very nice) and floats, as well as a selection of other seemingly more interesting “homemade” soft drinks. This was somewhat lacking in lemon favour and was actually quite watery. 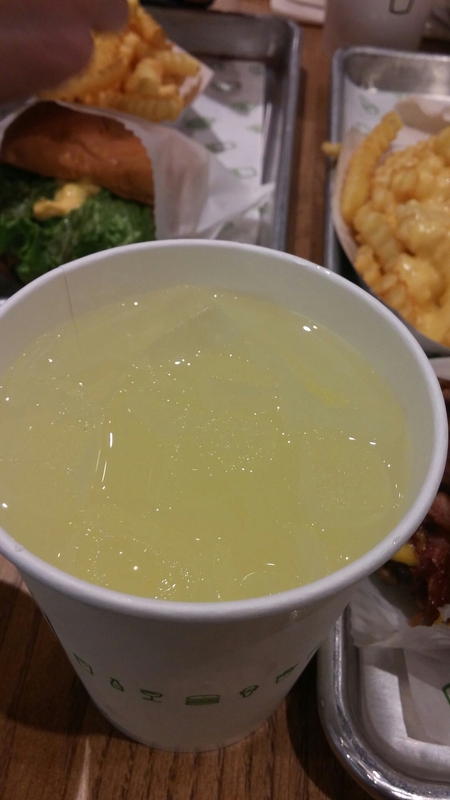 This was exacerbated by the large amount of ice in the cup, as it melted. 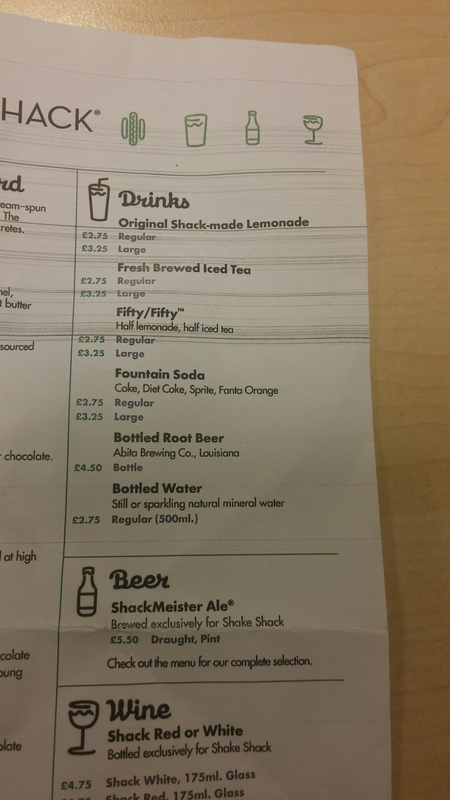 Others went for the “fifty fifty” (£2.75), a mix of Shake Shack’s ice tea and their lemonade. 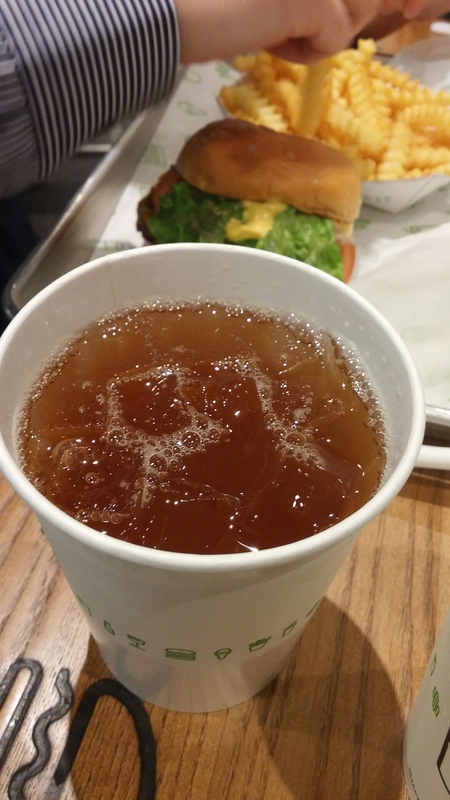 This got a universal thumbs down as the effect of the watery lemonade was simply to dilute the ice tea. This made for a fairly weak and insipid drink. On the booze front they have some decent local beers on offer (including Tiny Rebel) and house red and white wines. The wines are from somewhere in France – no idea who makes them for Shake Shack or what they are like. The red, a blend of grenache noir and syrah, sounds better than the white, a blend of grenache blanc and vermentino (not really a wine that goes with a beef burger or a hot dog, the white – probably best with the veggie Shroom burger). Based on the grapes used I would hazard a guess that they source these wines from a Languedoc based producer. In the US they source wine from Frog’s Leap, a good Californian winery, so if they use a similar quality French producer here it should be OK. Decent price on these wines, with it being £17 for a bottle, £6 for a 250ml glass and £4.75 for a 175ml glass (as long as it isn’t rubbish – always a risk at that sort of price in a restaurant environment with the scale of standard UK mark up on retail prices). Not sure why they haven’t just stuck here with their usual Frog’s Leap stuff. 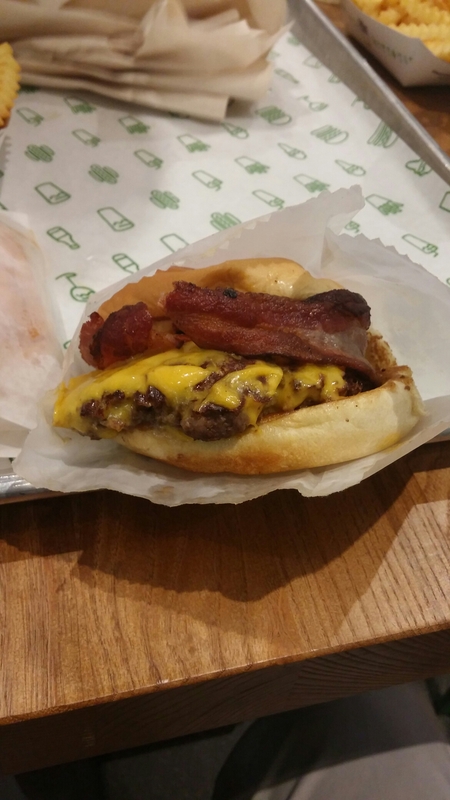 The post title poses the question of whether Shake Shack shook my burger world. The answer is I am afraid a no. Too pricey by far for what we got. 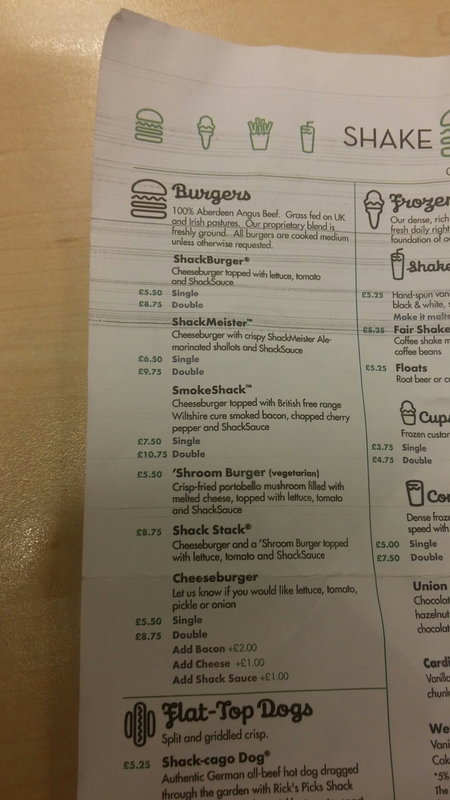 Compare Shake Shack with similar priced or cheaper places in London such as Meat Market/Meat Liquor, Honest Burger, Patty and Bun, Burgershack or even Bryon Hamburgers and Shake Shack loses everytime in my view. 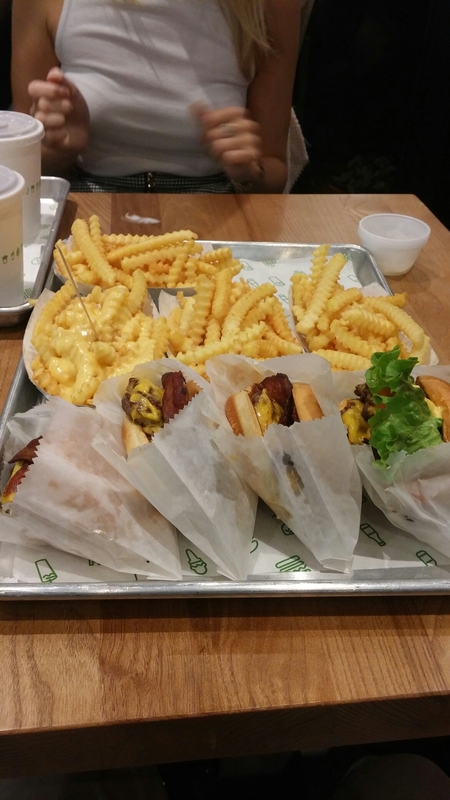 Bring ones of these to Cardiff and I would be far happier than with us getting a Shake Shack. Whilst better than Five Guys (hardly a ringing endorsement from me as I found Five Guys very disappointing) there are, I think, better burgers to be had in Cardiff when you apply a price and quality comparison. 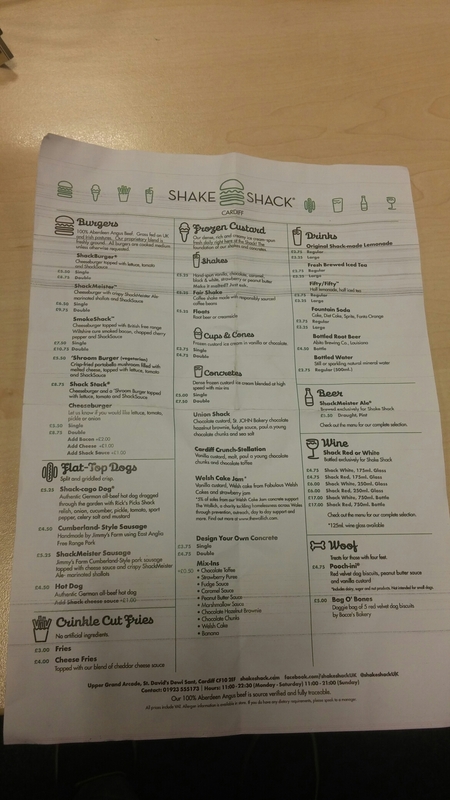 I think I would go to Got Beef, the Grazing Shed, Burger and Lobster (for their new cheaper burgers), Locke & Remedy and the Urban Tap House over Shake Shack. That equates to about £13.75 a head, which was way too much. Yep – £55.50 for this and 4 small soft drinks!!! The US price for exactly the same order would have been just over $50.50 (about £34 in total and thus £8.50 per head) which is much more like it. 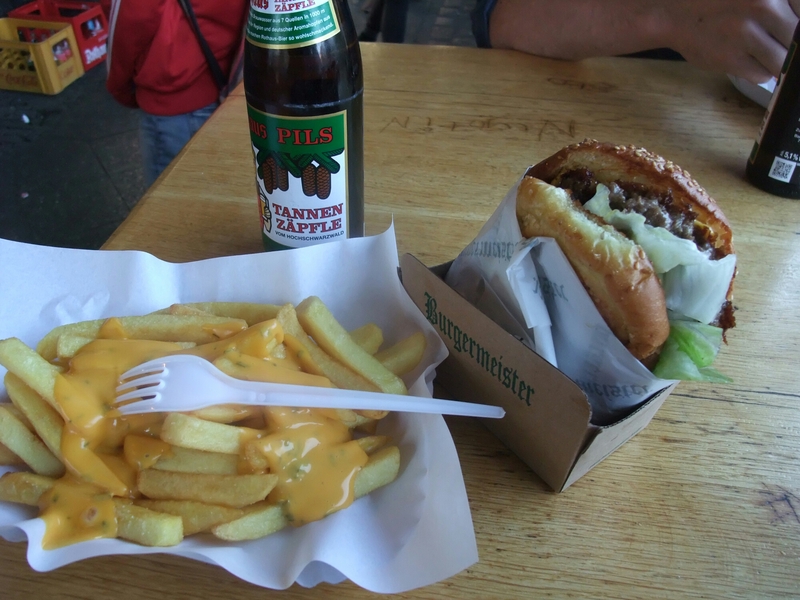 In Berlin, at Burgermeister, I paid €8.20 (about £6 on the basis to the current exchange rate) for a bigger, better burger, similar cheese fries (with the cheese sauce actually tasting of cheese – but not as good fries I have to say) and a 33cl bottle of beer. Now that is value (you regrettably have to be in Berlin to take advantage). 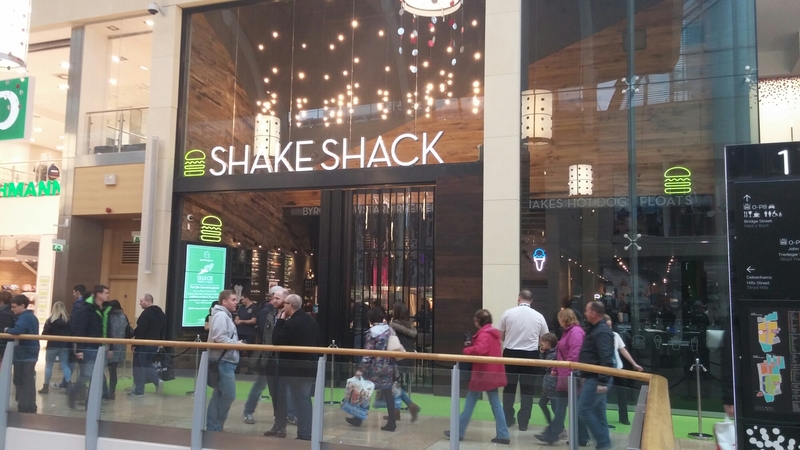 Does Cardiff really need another burger joint? If yes (debateable), it ain’t this one. I’ll tell you next week which one I wish it had been. I may be going against the flow here, but to me it is just another disappointingly overhyped and above all overpriced US import. I notice all the burgers are cheeseburgers. How many come without cheese? NONE. I shan’t be visiting this place. 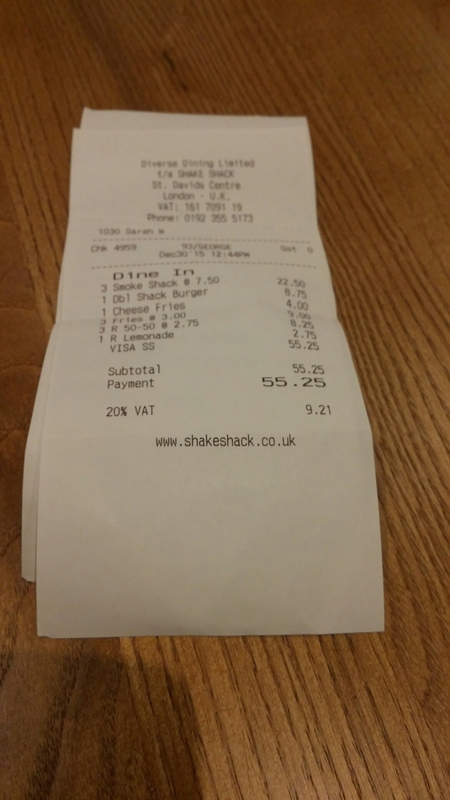 Especially seeing that final bill… £55 for 3 burgers! Was for 4 burgers 4 fries and 4 soft drinks – still very expensive nonetheless. Agree odd no straight burger – US branches do one so not sure why no cheeseless option in Cardiff branch. Think their use of UK (not much Welsh mind) suppliers is commendable, but and it is a huge but the prices for what you get (Smoke Shack was tiny) are unforgivable and to my mind totally unjustifiable when you look at what London joints like Patty & Bun and Honest Burger (all with product provenance at least as good if not better and a much better food offering on all counts to my mind) provide for a similar or cheaper price. 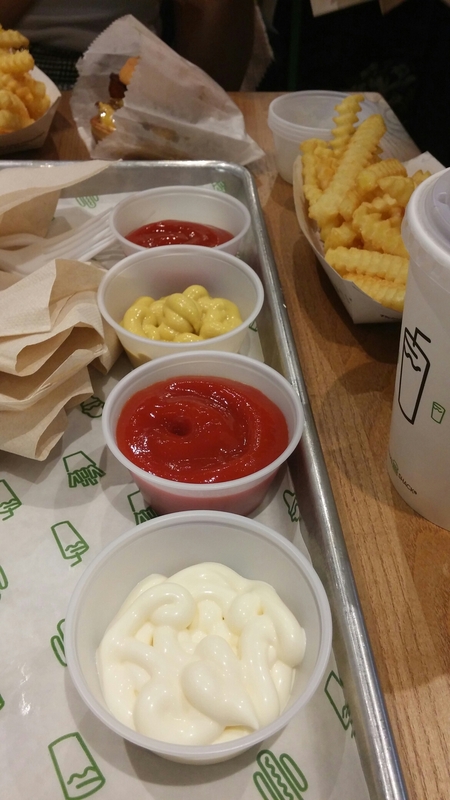 Profit margins at Shake Shack must be eyewateringly high. 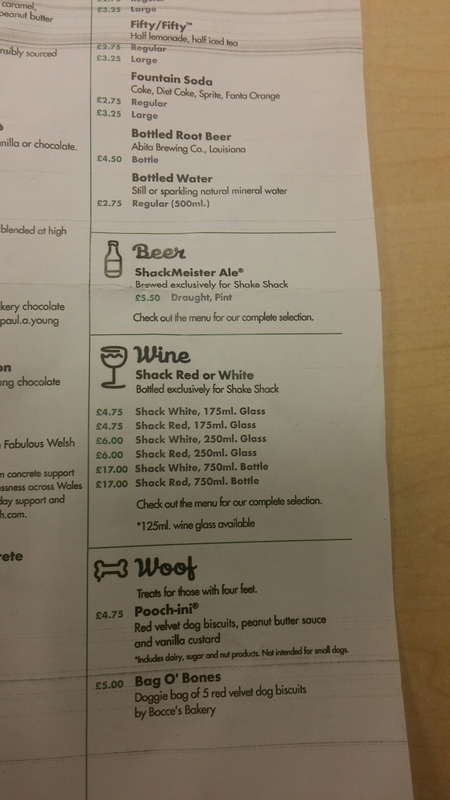 This entry was posted on Jan 10, 2016 by solicitingflavours in Beer, Burger, Burgermeister Berlin, burgers, Burgershack, craft beer, Drink, Fast food, Five Guys, Food, Food and wine products, French wine, Got Beef, Grazing Shed, hot dogs, Locke & Remedy, lunch, lunchtime, New restaurant Cardiff, Non alcoholic drink, Patty & Bun, Red Wine, Shake Shack, The Grazing Shed, Wales, White wine, wine.